I love OXO products ~ they are well designed and last a long time. 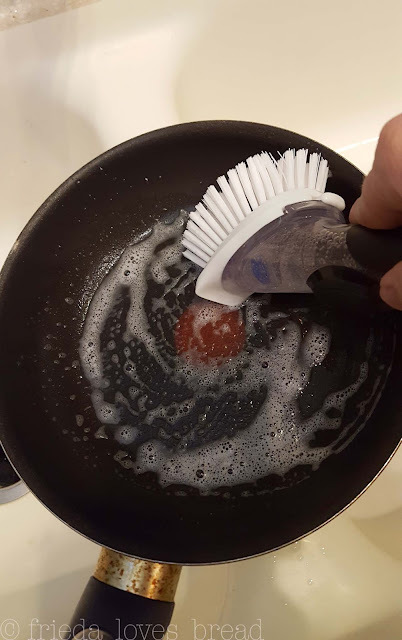 I have had this OXO Good Grips Dish Brush set for a little over 5 years and I use it every - single - day. I have pushed that little black button so many times that it developed a little crack and needed a replacement. 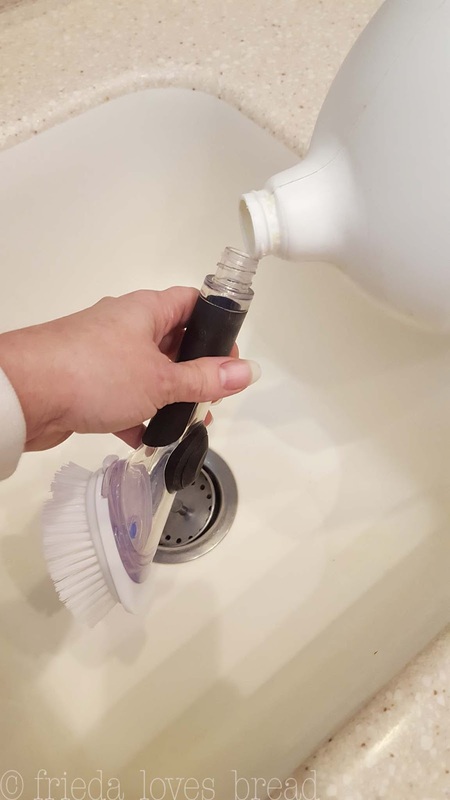 Using the OXO dish brush is very simple. Open the end cap and fill it with your favorite dish detergent. Put the cap back on, lightly push the rubber button, and a pre-measured squirt of dish soap comes out. The nylon bristles do a great job of scrubbing and is safe to use on non stick cookware. There's even a little scraper at the tip of the brush for baked on foods. 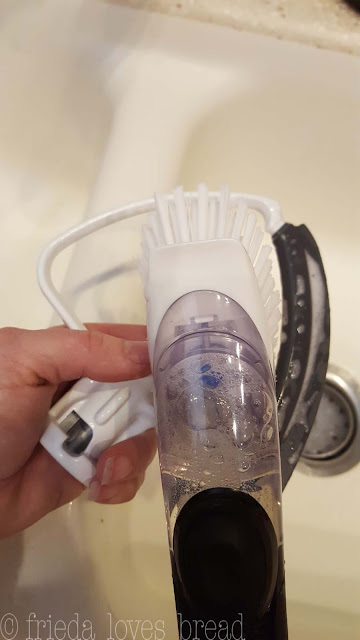 There are so many things that need hand washing - this Kitchen Aid Flex Edge beater needs to be hand washed. Cookie sheets, Silpat Baking mats, and other large items that don't fit well in my dishwasher are easy to clean with the OXO dish brush. I use it for any kitchen utensil that has a wooden handle, such as steak knives. 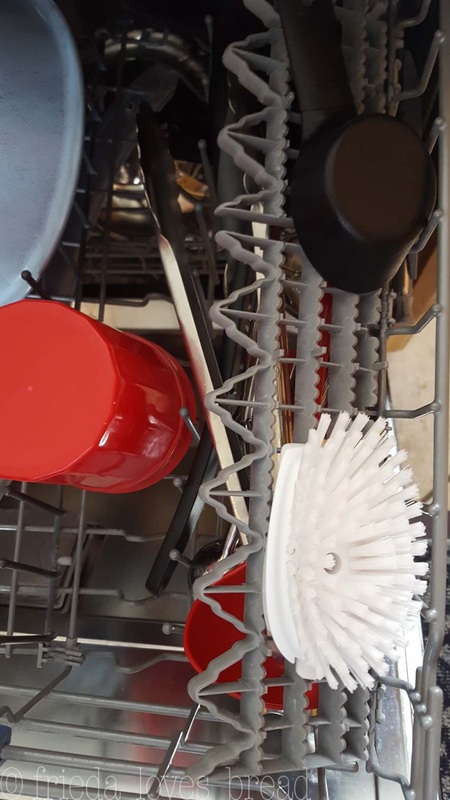 Every few days, I will take the brush off and let the dishwasher give it a good cleaning. 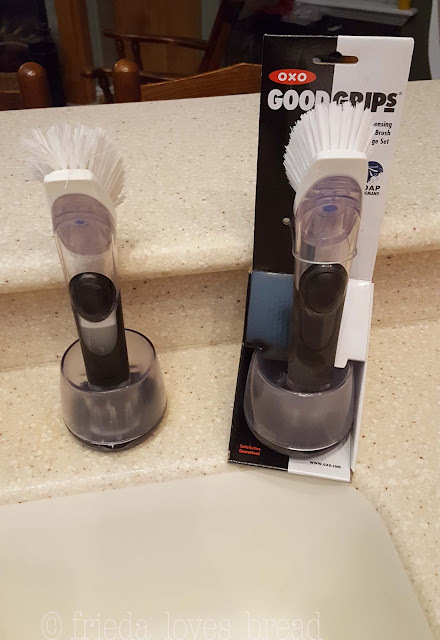 The replacement brushes come in a two-pack and are handy to have while one is being washed. If you are single, or living with roommates at school, washing a dish or two is so much easier than letting them pile in the sink or wait for a full load in the dishwasher. 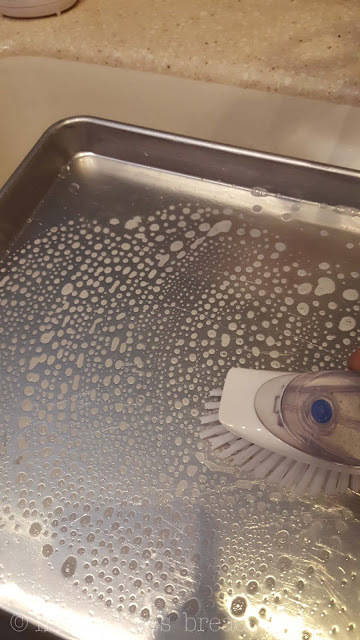 I love having this dish brush handy to wash my Kitchen Aid bowl in between mixing sugar cookies and making frosting. 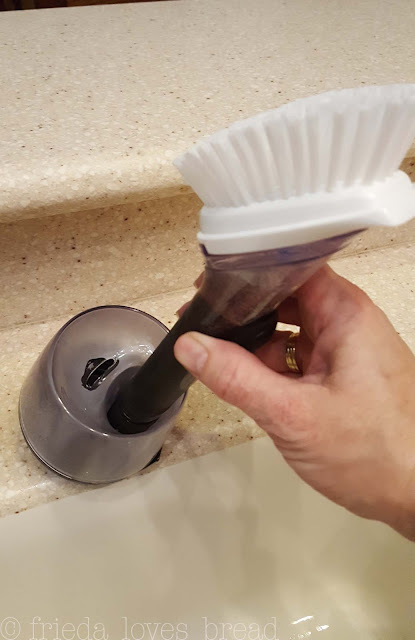 Does this OXO Dish Brush meet my Cool Tool Requirements? Comfortable to use? Yes - fits well in my hand and is easy to use. Easy to store? Yes - it has a permanent home on the counter near my sink. 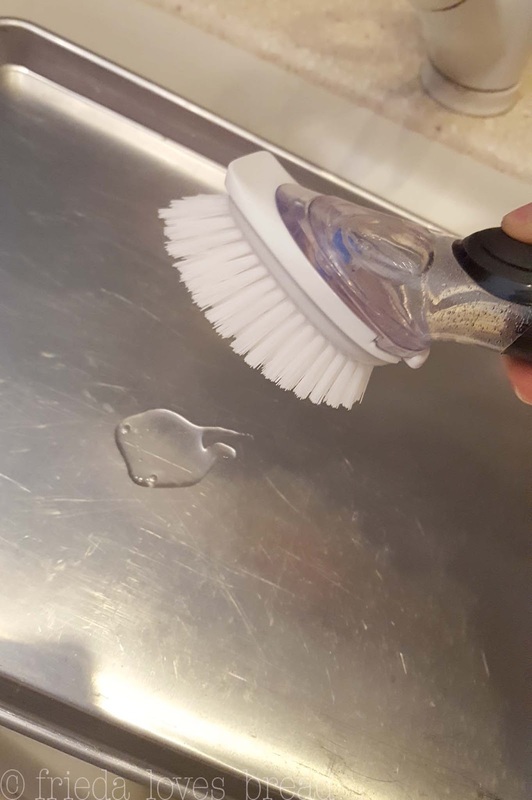 Easy to clean? Yes - throw the brush into the dishwasher at least once per week. Serve more than one purpose? No - but it does its only job very well! Good quality for the price; durable? Yes! I got this for about $10 and it lasted me 5 years of daily use! Use often? Yep! Every single day! I know you will love having this OXO Dish Brush as a daily cleaning companion. OXO products are well designed and will serve you well.